The Intel Atom Z3460 is a power efficient dual-core SoC for (mainly) Android tablets and smartphones. It is clocked at up to 1.6 GHz (Burst) and part of the Merrifield platform. Thanks to the specially optimized 22 nanometer low-power process (P1271) with tri-gate transistors, performance and energy efficiency have been significantly improved compared to its predecessor. Besides the CPU cores, the SoC integrates a PowerVR G6400 GPU as well as a Dual-Channel LPDDR3-1066 memory controller (max. 4 GB, 8.5 GB/s). The processor cores are based on the new Silvermont architecture, which is an out-of-order design for the first time. The increased utilization of the pipeline and many other improvements (optimized branch prediction, increased buffers, enhanced decoders) have increased the performance per clock by about 50 percent. At the same time, however, the Hyper-Threading feature of the previous Intel Atom generation has been removed. Other major changes are the support for new instruction set extensions such as SSE 4.1 and 4.2 as well as AES-NI (depending on the model). Compared to other smartphone and tablet SoCs, the Z3460 offers a relatively high performance per clock. In some cases, the chip even competes with high-end SoCs like the Qualcomm Snapdragon 800. However, the Z3460 has only 2 CPU cores, so the (less important) multithreading performance is only at the level of cheaper Cortex-A7 quad cores. The integrated GPU has not been developed by Intel itself, but licensed from Imagination Technologies. The PowerVR G6400 is very similar to the G6430 in Apple's A7, but clocked slightly higher at 400 - 457 MHz. Compared to other mobile graphics solutions, the G6400 performs similar to the Snapdragon 800/Adreno 330 or the ARM Mali-T628 MP6. Therefore, even the most demanding Android games of 2014 will run fluently in high resolutions. According to its performance and specifications, the chip should have a medium-high power consumption. 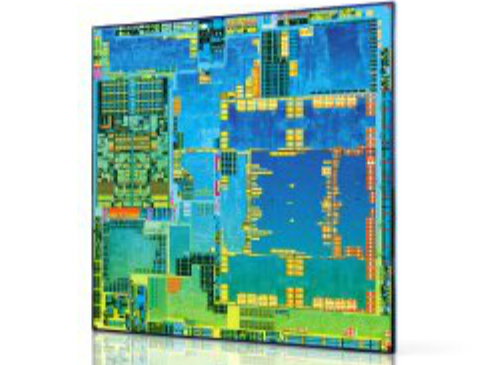 Intel claims, the SoC is suitable for tablets as well as smartphones.